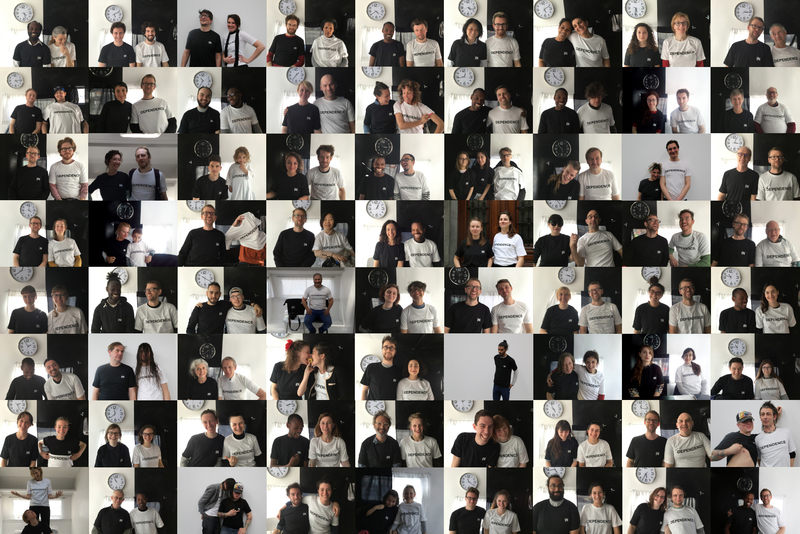 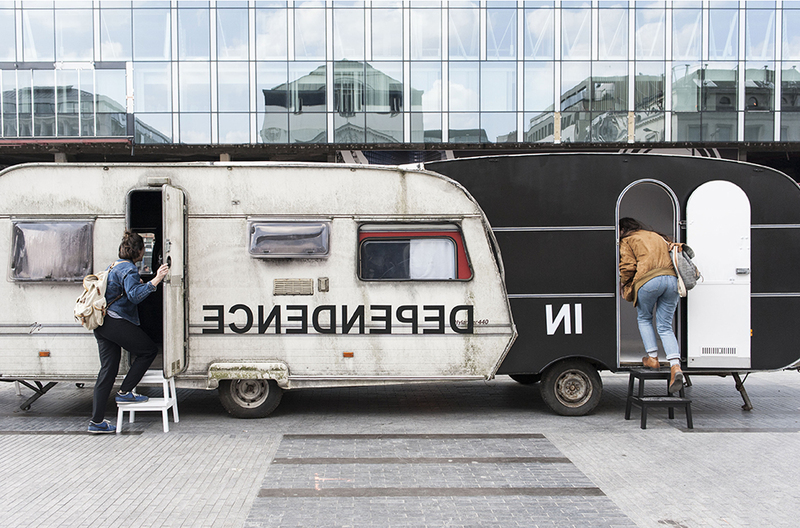 After the intense 7 days full of vibrant conversations at Place de La Monnaie in Brussels as part of the Performatik Biennial 17, two installations are installed respectively at Kaaitheater and Verbeke Foundation. 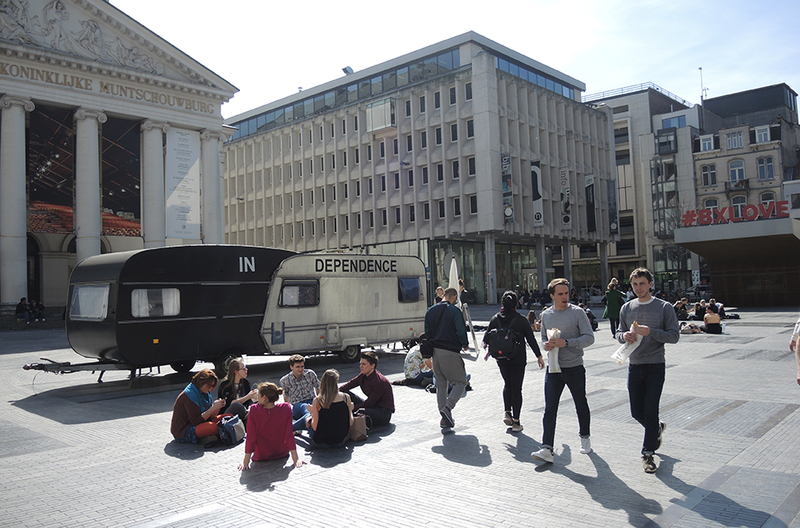 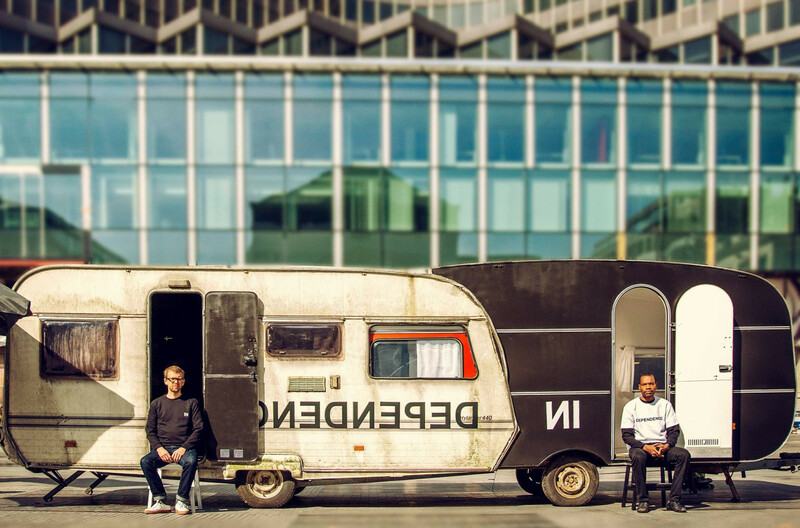 During Performatik17, they located at La Place de la Monnaie / Muntplein in Brussels every day with their mobile house. 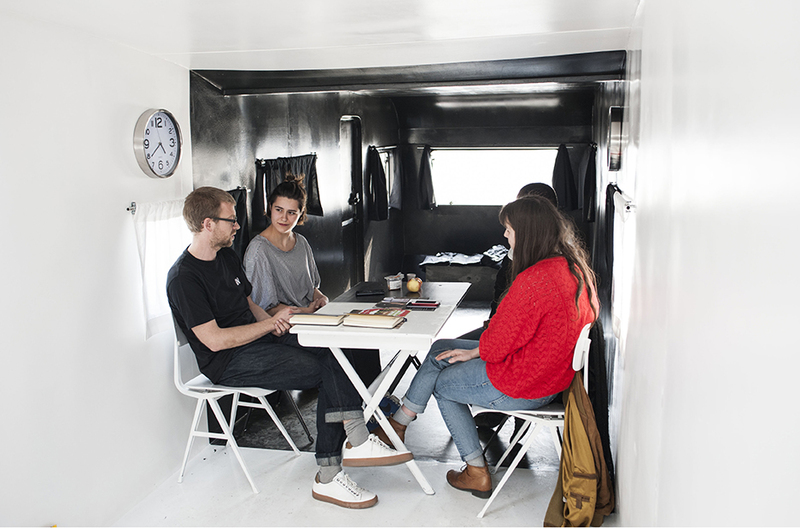 You were invited to visit them in pairs for a discussion about what dependence and independence mean to you – at a personal, political and artistic level. 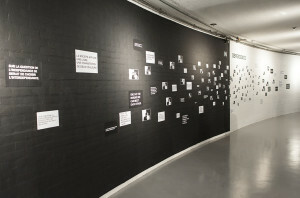 The project was translated into a growing photo exhibition at Kaaitheater. 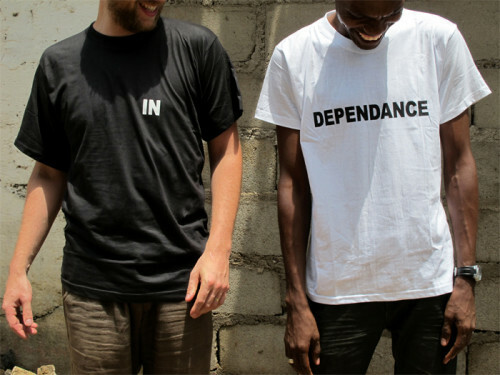 Moussa and Vanden Eynde originally created the project for SUD2010, the triennial art event in Douala (Cameroon), whose starting point was the 50thanniversary of independence being marked by 17 African countries.